Our dynamic PGA Professional group instruction program improves player confidence, fitness, and ability. Open to Trilogy® residents, Members, and guests, enrollment includes: 4 classes per month with 18 class times, preferred afternoon golf rates, daily access to the practice facility and discounts on golf apparel and equipment. 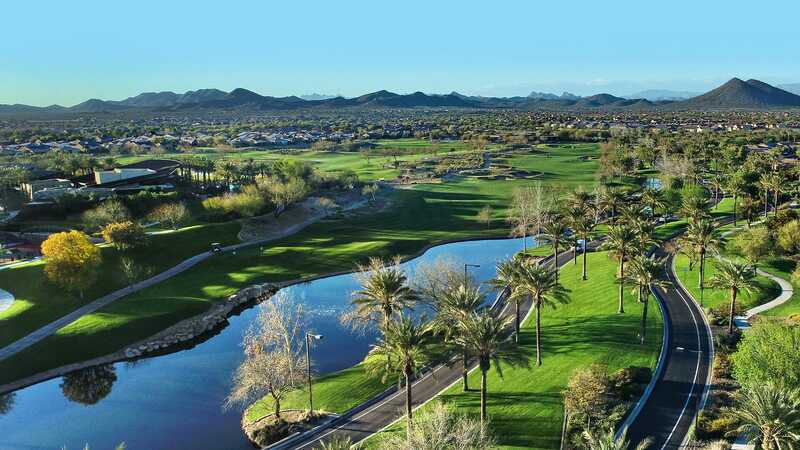 Crafted by renowned golf course architect Gary Panks, Trilogy Golf Club welcomes public play and draws upon distinctive land features and a backdrop of stunning Arizona scenery to result in a truly extraordinary setting. With more than 70 pronounced and transitional bunkers that feed gently into the golf course’s fairways and native areas, Trilogy Golf Club at Vistancia highly rewards careful planning and precise execution by the golfer. There are five different tee boxes from which to choose on this unique 18-hole, par 72-championship golf course allowing players of every skill level to enjoy this exceptional test of golf. Trilogy at Vistancia has a variety of unlimited play and “flex pass” options available to residents and non-residents (residents of the community receive a preferred rate). Pass information is shared each October for the season which runs from November through the following October. For further information, visit the Golf Shop. Trilogy residents also have an exclusive online booking engine they may use when taking advantage of the Trilogy Preferred rates. This booking engine may be accessed here – or Members may call the Members Only phone line at 623.328.5103. Whether you’re new to the game or simply in need of a tune up, the GUYS & GALS group instruction program improves player confidence, fitness, and ability. 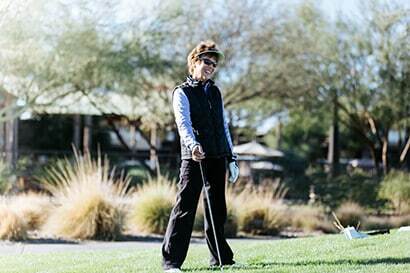 Open to Trilogy® residents, Members, and guests, the program is taught in a fun, engaging group setting that focuses on golf fundamentals. 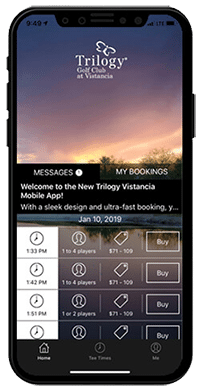 Using the spacious and thoughtfully provisioned practice facility at Trilogy Golf Club at Vistancia, players can enjoy a full swing experience as well as putting, short game, and bunker play. Registration for this season of GUYS and GALS is now open! Click below to sign up for each program. Private golf instruction is available at Trilogy at Vistancia with lesson rates starting at $50 per half hour, and $90 per hour. Our PGA professionals are also pleased to offer award winning instruction available to social groups, corporate teams, or families. And our “Vistancia Varmints” Junior Golf program is a hit with the kids and parents alike (sign up below!). To discuss your player development program, call us at 623-328-5100. 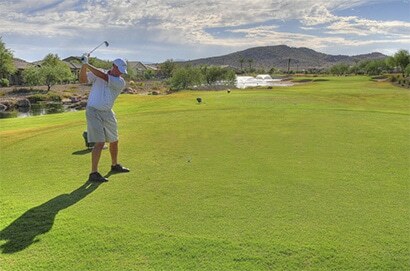 The Trilogy Men’s and Ladies’ Golf Leagues enjoy regular competition each week at Trilogy Golf Club at Vistancia. You must be a member of the league to sign up for the weekly matches. Stop in at the Golf Shop to learn more and to sign up! Members, sign up for your matches below. Ultra Fast Booking, Sleek Design, Exclusive Offers, & Real Time Weather. Our mobile app is already the fastest way to reserve your tee time, and it just got faster. Once you’ve registered and logged in, the updated app remembers your information. Just input the date you want to book, click the tee time you want, and confirm your reservation.